When a sitcom airs for nine or 10 years, the spots that the characters hang out in feel like a part of our lives, too. Thankfully, many of these places were inspired by real places that quickly became pop culture landmarks. Whether it's the titular bar in " Cheers" or the Pawnee City Hall from "Parks and Recreation," there are multiple spots you can check out from your favorite sitcoms. Picture this: you've spent 10 or 11 years watching a sitcom, and the characters truly feel like a part of your life. 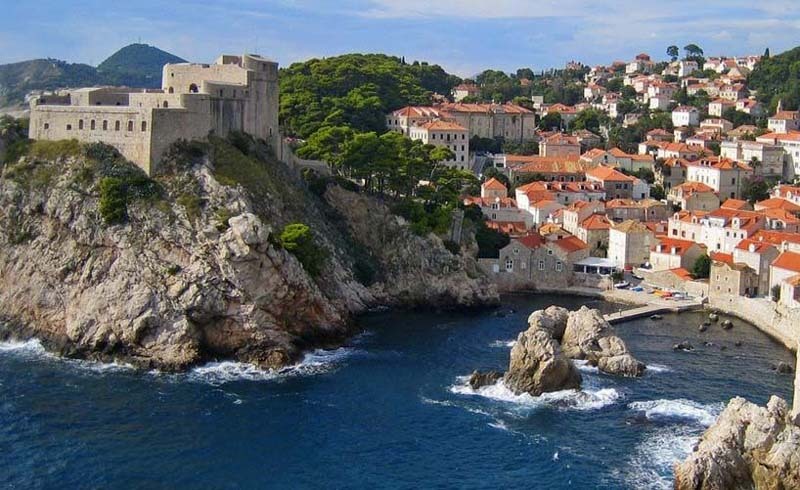 Wouldn't you want to visit their beloved hang-out spots? 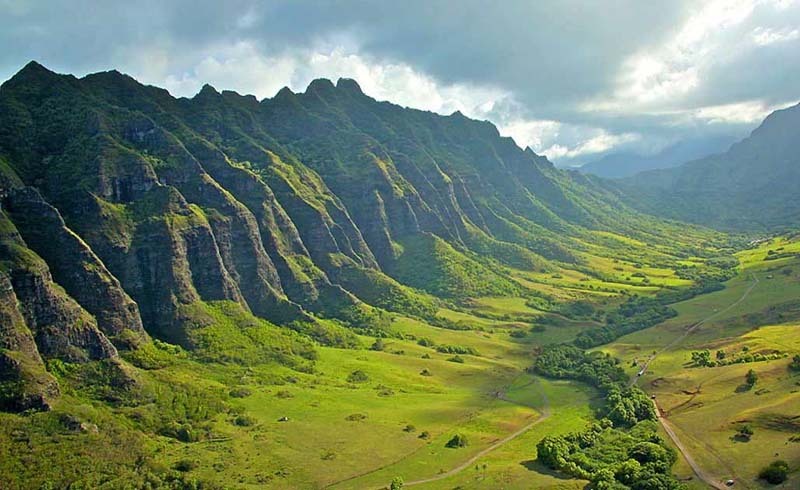 These 10 locations were either used during filming or inspired the creators to make their own versions in their shows. Keep scrolling to see what sitcom locations you need to add to your bucket list. "Cheers" almost exclusively took place within the bar, which shared its name with the show. The titular bar in "Cheers." Cheers, of "Cheers," was located in Boston, Massachusetts, and for most of its run was owned by Sam Malone, played by Ted Danson. It was normally populated by a lovable group of regulars and employees, including Diane, Norm, Frasier, Carla, and Cliff. 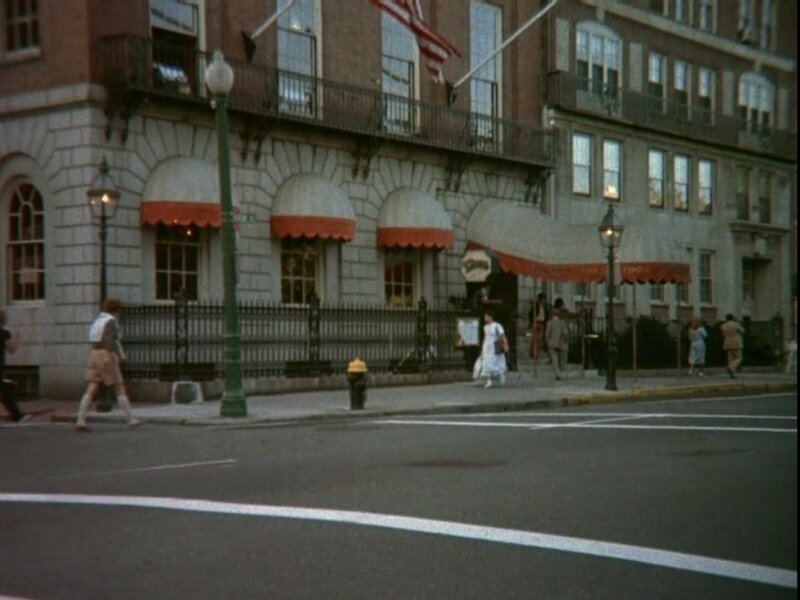 The outside of Cheers was actually a bar called the Bull and Finch for years, but was renamed Cheers Beacon Hill in honor of the show in 2002. The Bull and Finch was opened in 1969 but achieved national fame when its exterior was used for "Cheers" starting in 1982 and until its end in 1993. 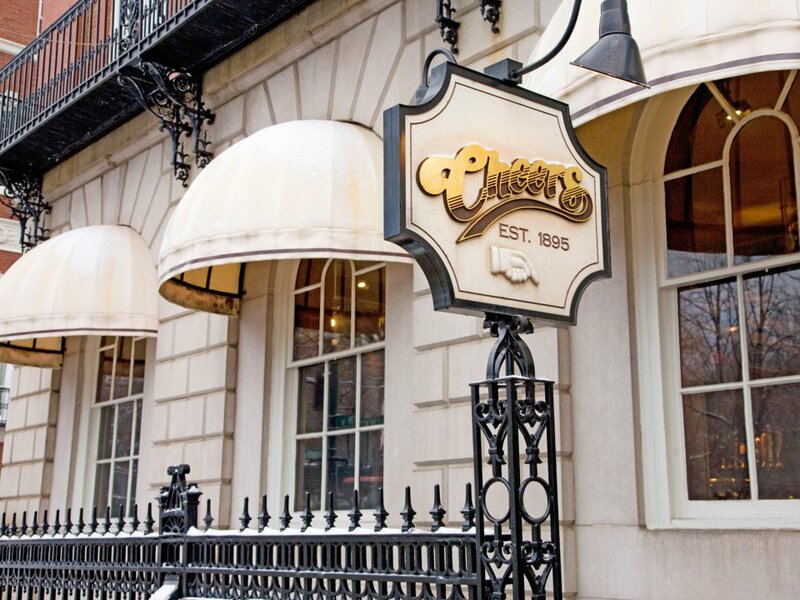 After decades of being known as simply "the bar from 'Cheers,'" it was renamed Cheers Beacon Hill in 2002, and you can still visit it in Boston. The characters in "Friends" spent almost as much time at their favorite coffee shop, Central Perk, as they did in their apartments. For 10 seasons, this beloved group of friends spent almost all of their free time at Central Perk, a coffee shop located in Manhattan. Over the course of 10 seasons, Rachel and Joey both worked there, and Phoebe even got married on the street right outside. Since the show's end, there have been a few Central Perks around the world. 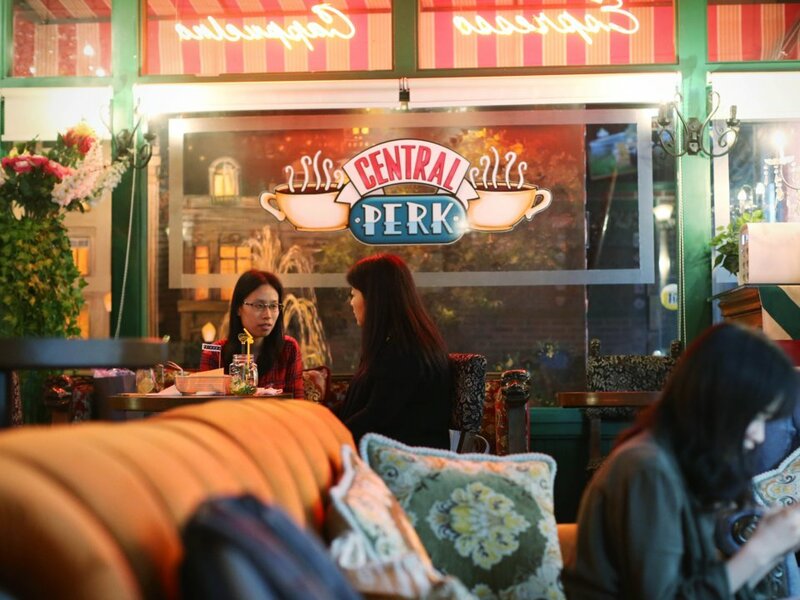 Central Perk in Shanghai, China. There are multiple Central Perks throughout the world, most frequently showing up in Asia and the Middle East. There have also been pop-up imitations in London and New York City, but they were not permanent and have since closed. 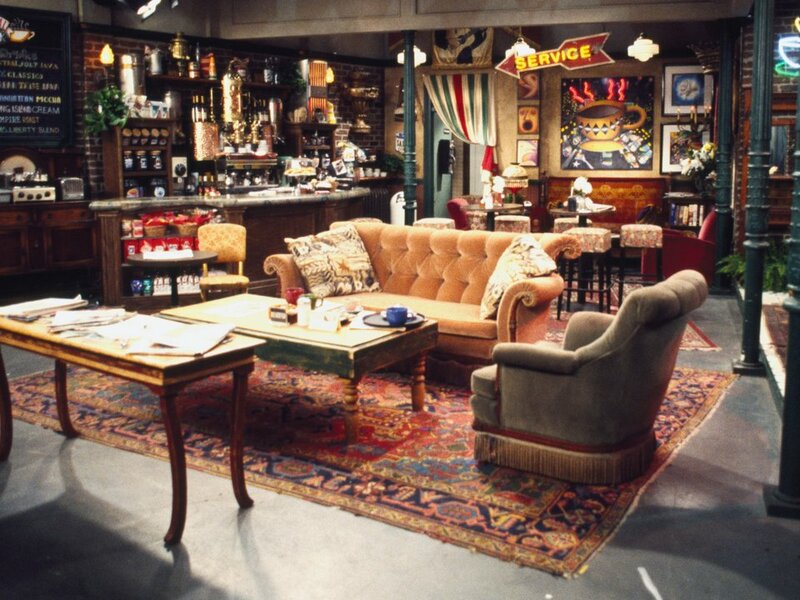 If you care more about being in the "real" Central Perk than grabbing a cup of coffee, you can also check out the Warner Bros. studio tour in Los Angeles, in which visitors can see the actual set from "Friends" and sit on the iconic orange couch. 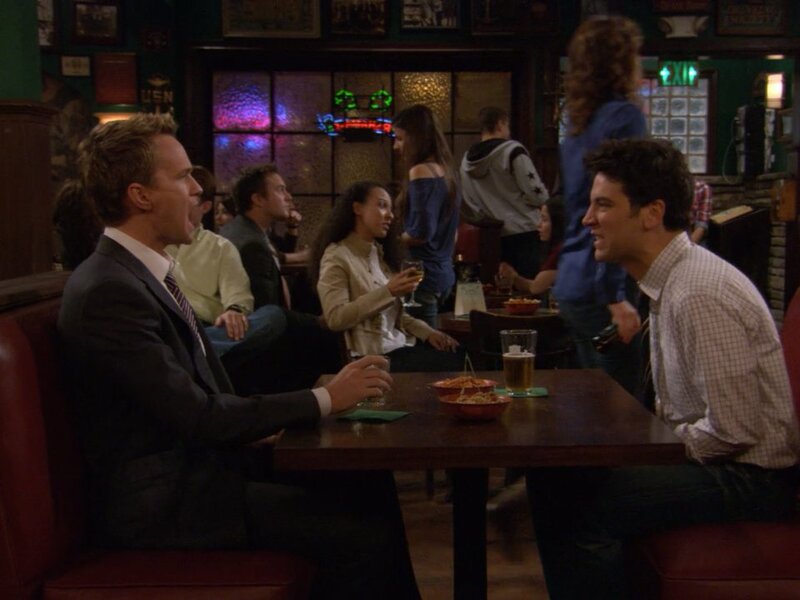 Almost all of the action in the nine seasons of "How I Met Your Mother" took place in the Irish pub MacLaren's. 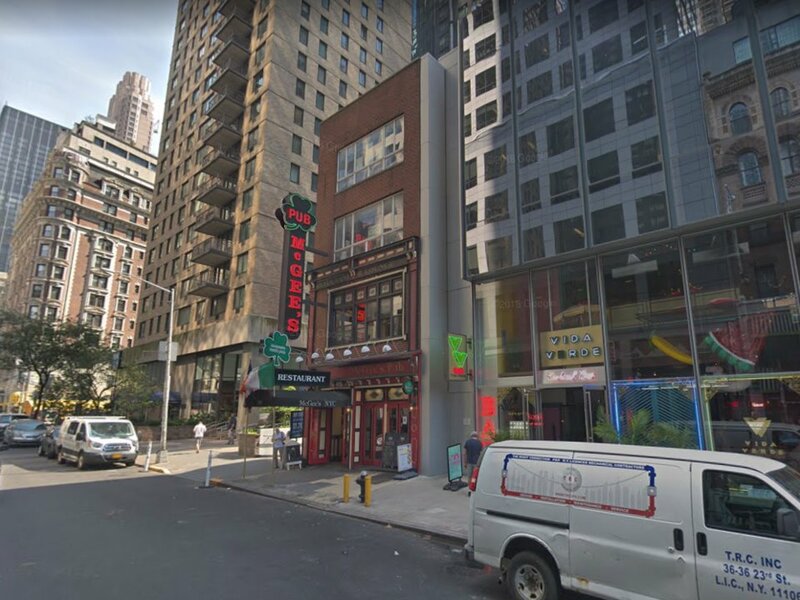 Almost everything that was significant in the universe of "How I Met Your Mother" went down in MacLaren's, a bar in Manhattan, for the show's nine seasons from 2005 until 2014. It's where main character Ted met one of his best friends, Barney, and his future girlfriend, Robin. Ted also visits the bar with his friends almost every night. They're such regulars, in fact, that Ted and Barney are trusted to close the bar down one night after the bartender has to leave. MacLaren's was inspired by the real bar McGee's, also located in Manhattan. The legend goes that during their "Late Show with David Letterman" days, creators Carter Bays and Craig Thomas spent a significant amount of time at McGee's, and based the interior of MacLaren's — and its Irish theme — on McGee's. The bar has embraced its sitcom fame and even has a special "How I Met Your Mother" menu on Mondays, including show-inspired cocktails like The Pineapple Incident and The Naked Man. 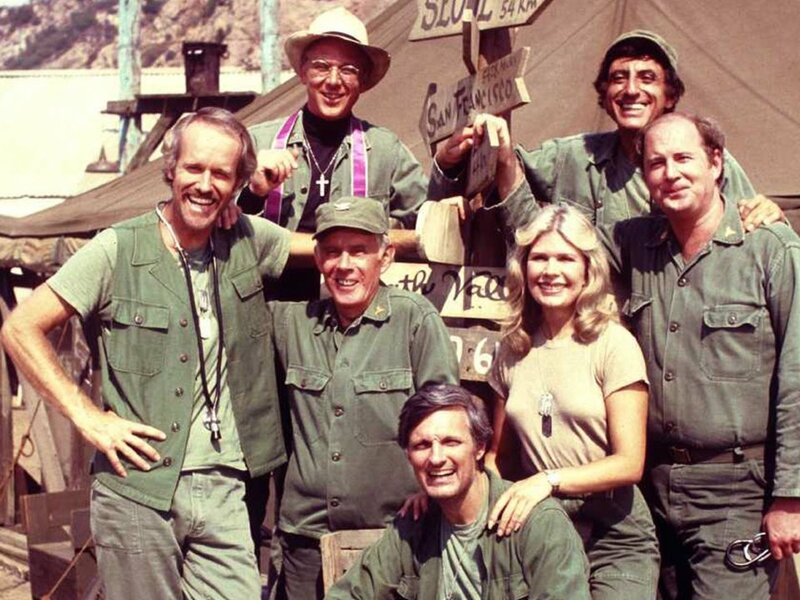 "M*A*S*H" is one of — if not the best — sitcoms of all time. The main location was the 4077th Mobile Army Surgical Hospital, in Uijeongbu, South Korea. The doctors, nurses, and soldiers of the 4077th Mobile Army Surgical Hospital hung around at their base in South Korea for 11 seasons from 1972 to 1983 - eight years longer than the actual Korean War went on for. 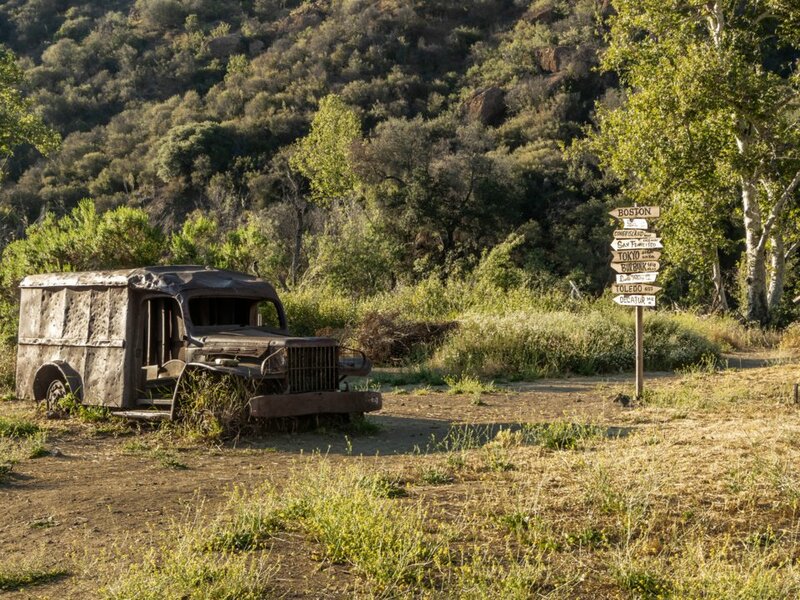 The outdoor set used in "M*A*S*H" is located within Malibu Creek State Park in California, and is marked by a jeep and the famous sign from the show. An actual wildfire burned almost all of the area where "M*A*S*H" was filmed while they were shooting the show — they ended up working the fire into the plot. In the decades since, a rusted jeep and a restored version of the sign have been installed to mark the location that was used. The area also has stills from the show, tent markers, and maps to help visitors understand what they are seeing. 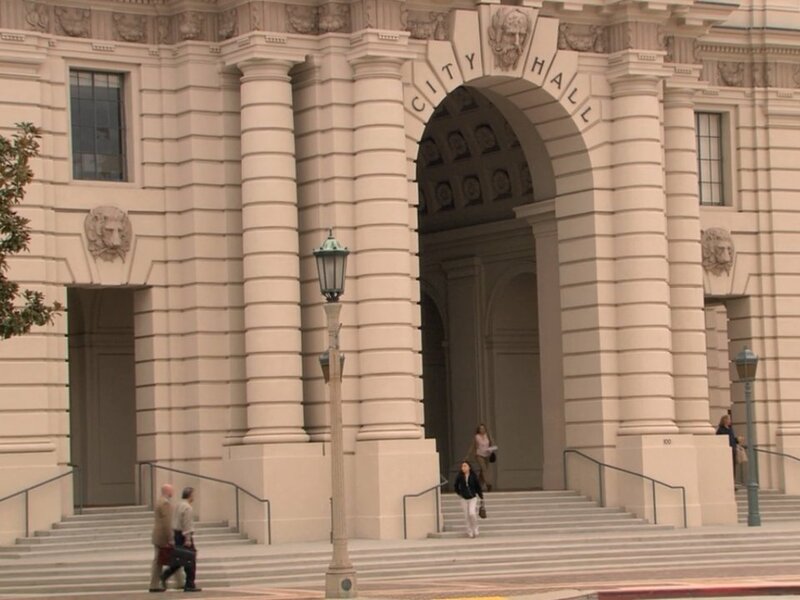 The local government sitcom "Parks and Recreation" frequently showed Pawnee City Hall. Pawnee, Indiana, might not be a real city, but the characters in "Parks and Rec" sure made it feel like just another small town. The show, which aired for seven seasons from 2009 to 2015, centered on the Parks and Recreation department of the Pawnee local government, and starred A-listers Amy Poehler, Chris Pratt, and Aziz Ansari. The Pawnee City Hall is actually the Los Angeles City Hall, which has been used in many TV shows and movies. 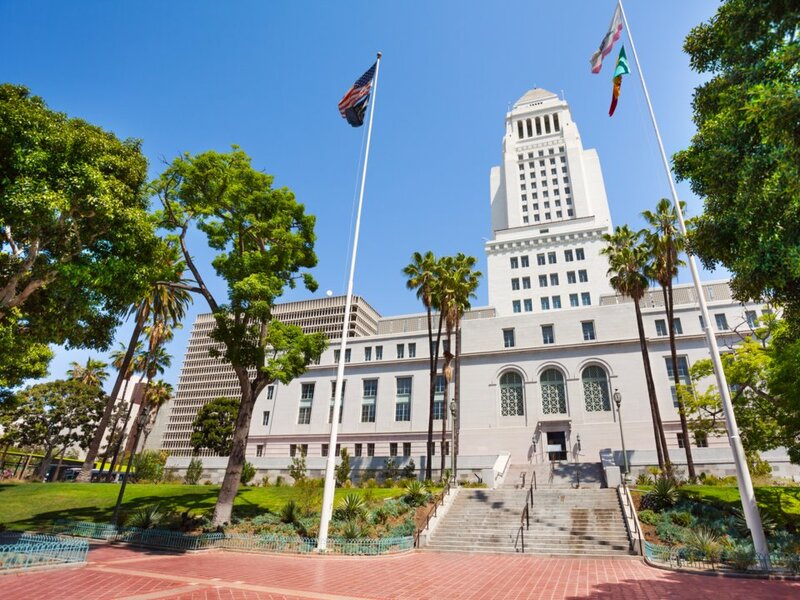 The Los Angeles City Hall was built in 1928. Besides "Parks and Rec," it can be seen in "Alias," "Gangster Squad," and "The Bad News Bears." 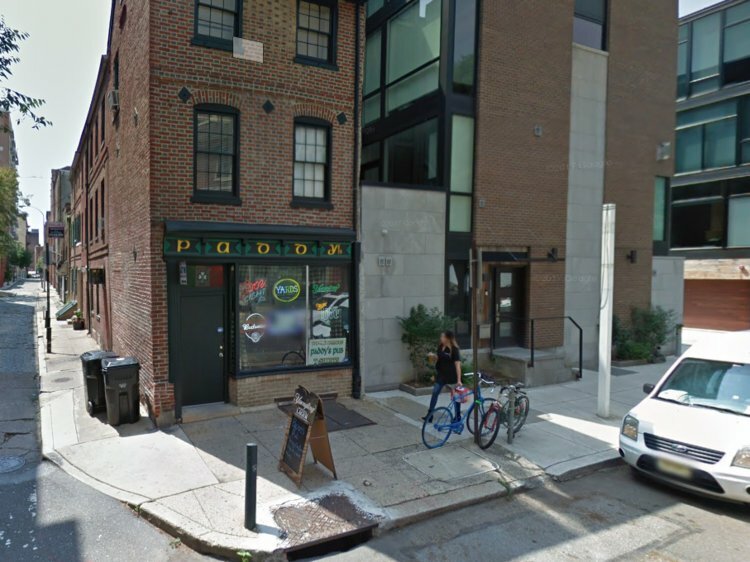 The dysfunctional crew of "It's Always Sunny in Philadelphia" owns Paddy's Pub in Philadelphia. "It's Always Sunny" is all about a group of friends who own a bar in South Philly, and the truly horrifying situations they get themselves into. No matter how much the "Sunny" crew disgusts us, we love to hate them — the show's been running since 2005, and was already renewed for a season 14. 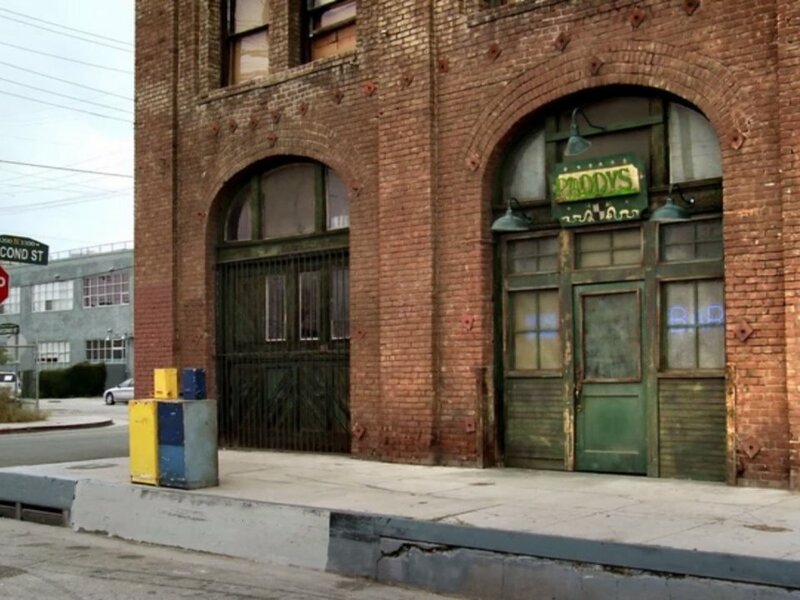 According to the bar's website, this Paddy's Pub is where the show's creators found inspiration for the show's watering hole — they even have their "very own Frank," in honor of the character played by Danny DeVito. Thankfully, it's much nicer than the show's Paddy's Pub. If visiting the real Paddy's isn't enough for you, two of the show's creators and stars, Rob McElhenney, who plays Mac, and his wife Kaitlin Olson, who plays Dee, own a bar in Philadelphia called Mac's Tavern. The residents of Apartment 4D in "New Girl" used The Griffin as their hang-out spot. The Griffin was a huge part of the Los Angeles sitcom"New Girl," and almost as important as the loft that they all lived in. Through the show's seven seasons, both Nick and Cece worked there, and Nick eventually bought part of the bar with Schmidt. The first season of "New Girl" used the Los Angeles restaurant The Prince for the interior of The Griffin, and later recreated it on a sound stage. 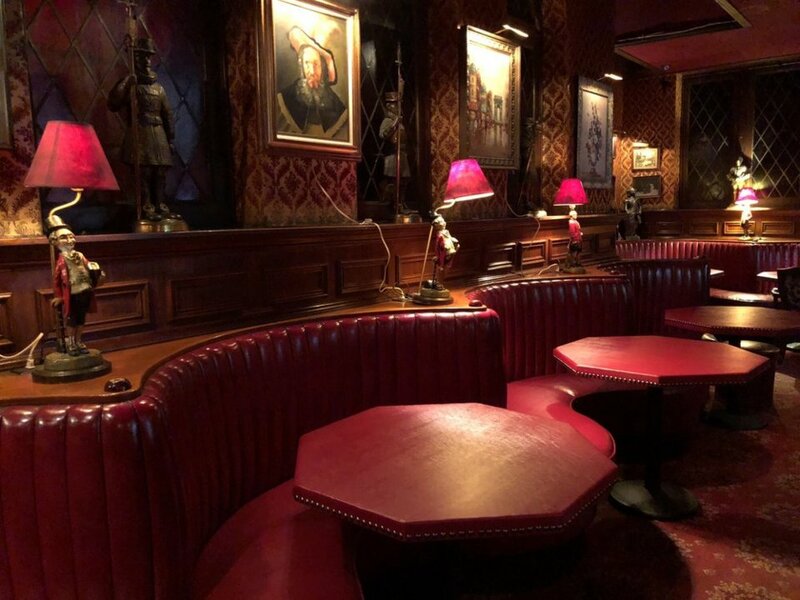 The Prince has been open since the 1940s and has been used in many films and TV shows throughout the years besides "New Girl," including "Mad Men," "Thank You For Smoking," and "Chinatown." 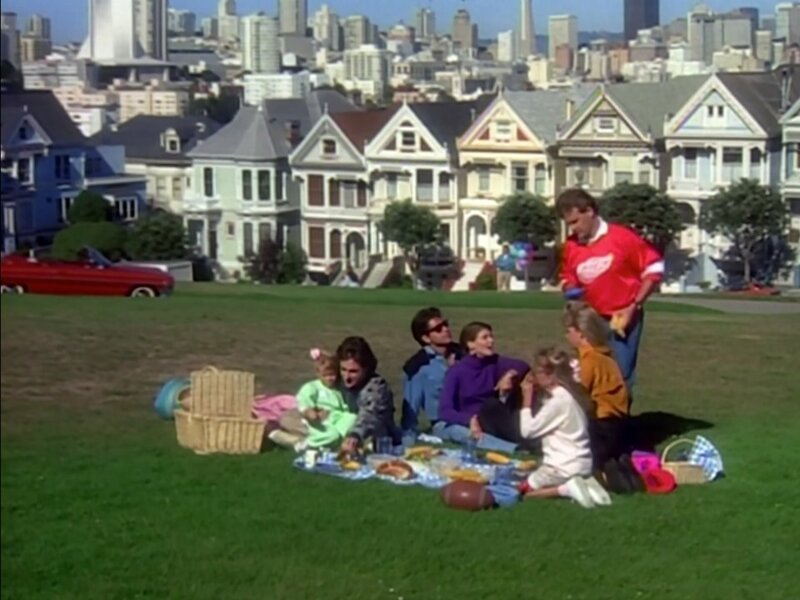 The iconic "Full House" title sequence ended with the Tanner crew eating a picnic in front of their home in San Francisco. The "Full House" opening sequence. "Full House," which ran for eight seasons from 1987 to 1995, is set in San Francisco, California. The entire cast called the Tanner house their home at some point during the show, which was about Danny Tanner, a widower raising his three daughters with the help of his brother-in-law, Jesse, and his best friend, Joey. The family continues to live in the home during the spin-off show, "Fuller House." The home used in "Full House" is part of a San Francisco landmark called the Painted Ladies. 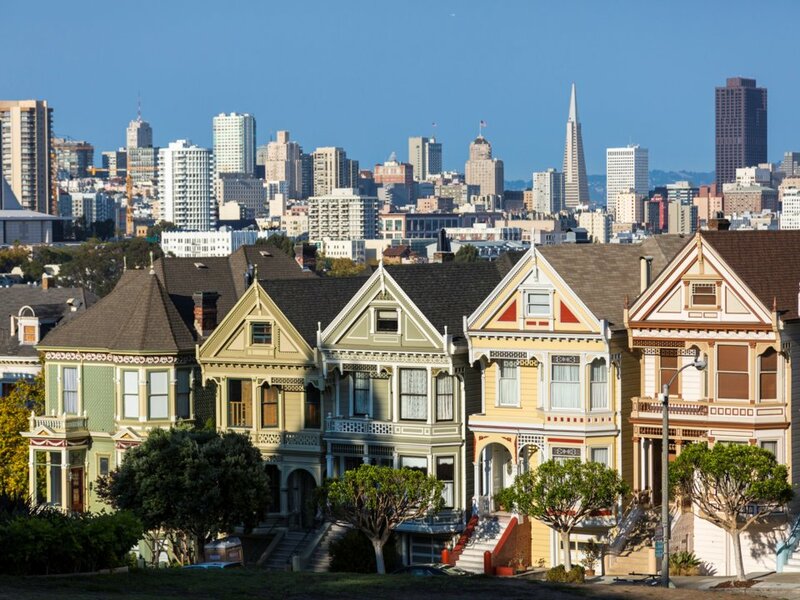 The Painted Ladies, according to INSIDER, have been featured in dozens of commercials, TV shows, and movies, though they are still most known for their role in "Full House." The row of houses, as reported by NBC, is one of the most photographed attractions in San Francisco. Almost every episode of "Seinfeld" features Elaine, Jerry, and George hanging out at Monk's Café. "Seinfeld" has been called the show about nothing, but it's really about the day-to-day lives of a group of three apathetic friends living in New York City. The beloved show aired nine seasons from 1989 to 1998. One of their favorite hang-outs, besides Jerry's apartment, was Monk's. 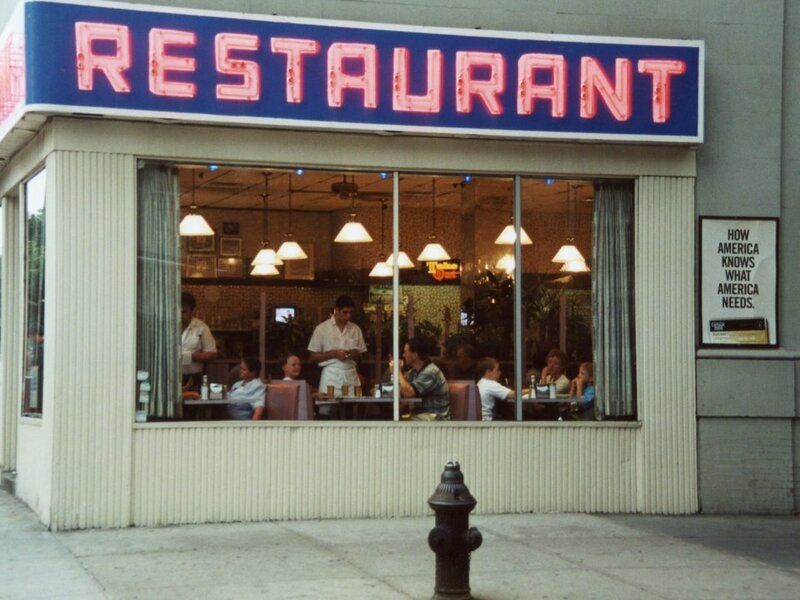 Co-creator Jerry Seinfeld told NY Mag that they named it Monk's because of a Theolonius Monk poster hanging in the room where he and co-creator Larry David were writing, and that was that. The real Monk's is called Tom's Restaurant, and has embraced its "Seinfeld" heritage. 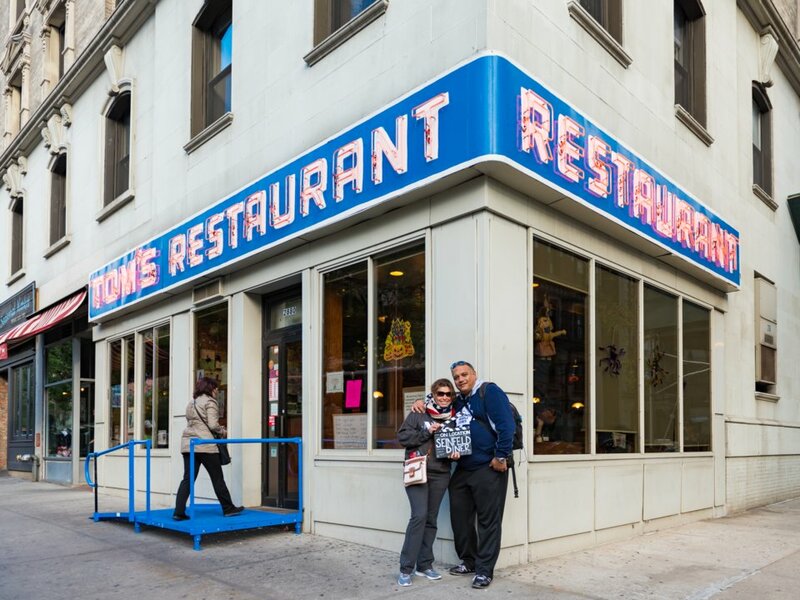 "Seinfeld" fans posing in front of Tom's Restaurant. Tom's is also located in Manhattan, like its fictional counterpart. It's been a Morningside Heights staple for seven decades, and has seen many famous faces walk through its doorway, including future-president Barack Obama. Outside, there are barriers with the characters' names, plus the interior has signed photos of the cast and magazine covers. The houses on "Everybody Loves Raymond" were the focal points of the show. "Everybody Loves Raymond" ran for nine seasons from 1996 to 2005. The show almost entirely takes place in Raymond and his wife Debra's house, or in their in-laws house across the street. 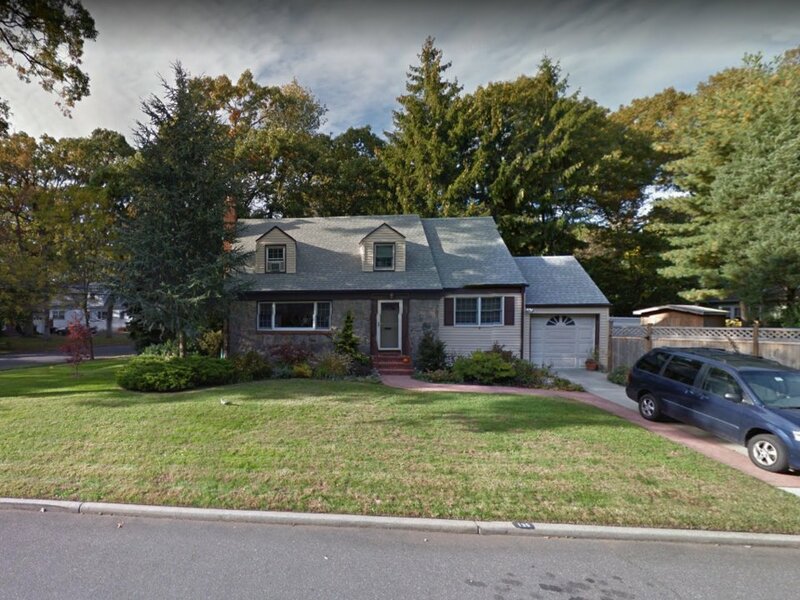 The Barone family is stated to have lived in a town on Long Island, New York, called Lynbrook. 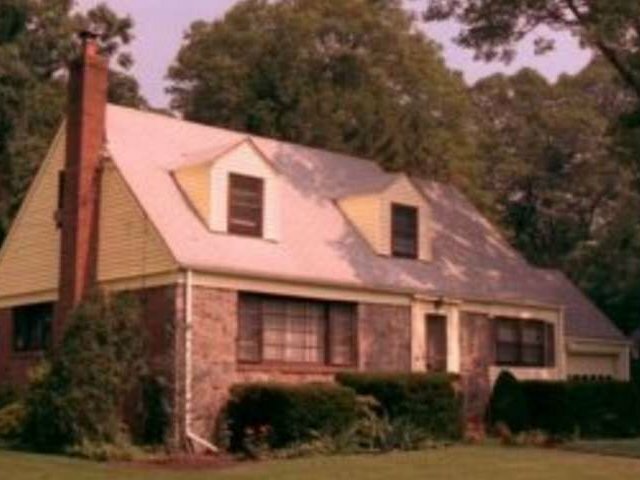 The exterior of the house was shot on Long Island but in Merrick, not Lynbrook. Both of the houses in "Everybody Loves Raymond" were located in Merrick, but around the corner from one another, not across the street. The interiors were shot on a sound stage, but any "Raymond" super-fan can always drive past the two houses and check out the outside.